I’ve been struck recently by the lack of coverage of e-safety by some of the people I talk with on Twitter and elsewhere. E-safety and the safeguarding of our young people online is of paramount importance. I’ll be writing more about this in the near future, but as part of my future planning – I’ve been getting ready for something which happens every February and should be a firm date in your calendar. I am talking of course about Safer Internet Day. The theme for 2014 is ‘let’s create a better internet together’ and there are lots of things that we can do to get involved. You can join in the conversation by tweeting with the hashtag #SID2014. SID are tweeting from @UK_SIC too. 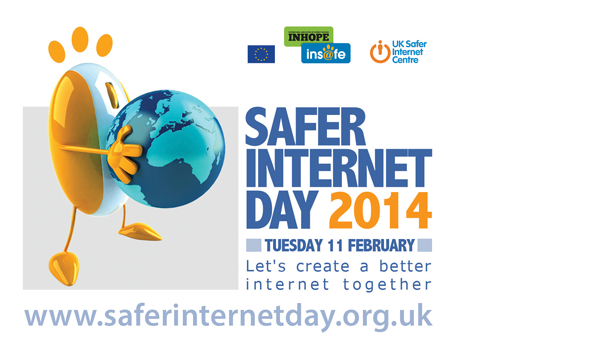 You can even get in touch with the Safer Internet Day tv team via @SID2014tv. Other ways in which you can spread the word are on their site here: http://www.saferinternet.org.uk/safer-internet-day/2014/spread-the-word – you could also check out their Youtube channel too. Whichever way you look at it – we should all be thinking about our students and their digital footprint, their actions online and how we can make it a safer place for students to work and collaborate together. With Safer Internet Day being just over a month away, we’ve got plenty of time to get something planned. If you’re already in the midst of getting things in place, I’d love to hear what you’re up to – if not, get on it and I’ll see you on the #SID2014 hashtag!